Step down, LeBron, there’s a new kid on the block! Enzo Lee may only be just out of kindergarten, but his talents rise well above. With elite ball-handling skills and a formed jump shot, complete with a natural love and understanding of the game, the sky’s the limit for this talented young athlete! 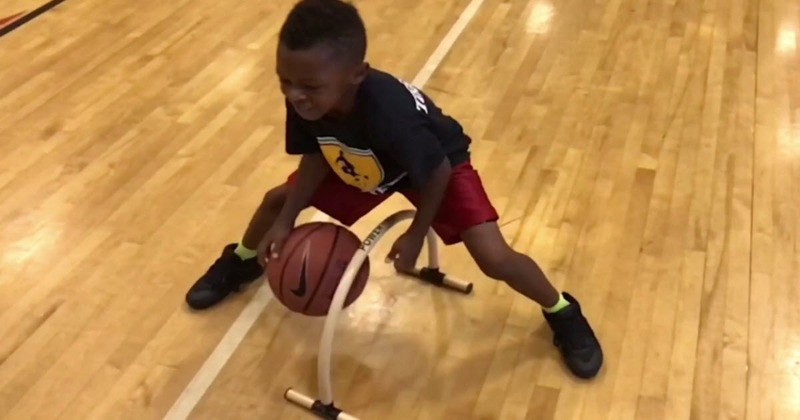 The now-6-year-old from Jacksonville, Florida is seen showing off his incredible ball-handling skill on the basketball court. The prodigy is shown showcasing some of his sweetest moves, including a formed jump shot, as well as his spider-dribbling skills. Young Enzo started developing his skills with the big ball when he was only three years old. He might have been the pipsqueak on the court, but his talent is beyond his age. He has been playing in leagues with kids 8 years of age, even joined an AAU team for seven-year-olds. Enzo Lee is a massive star on social media, amassing over 110.000 followers on Instagram and more than 10.000 likes on his Facebook page, Enzo TeamEnzo Lee. Seeing these child-prodigies take off so young should really inspire the rest of the world to let their own kids follow their own dreams and ambitions. If they are really good at something, allow them to pursue it and they will never have to work a day in their lives!